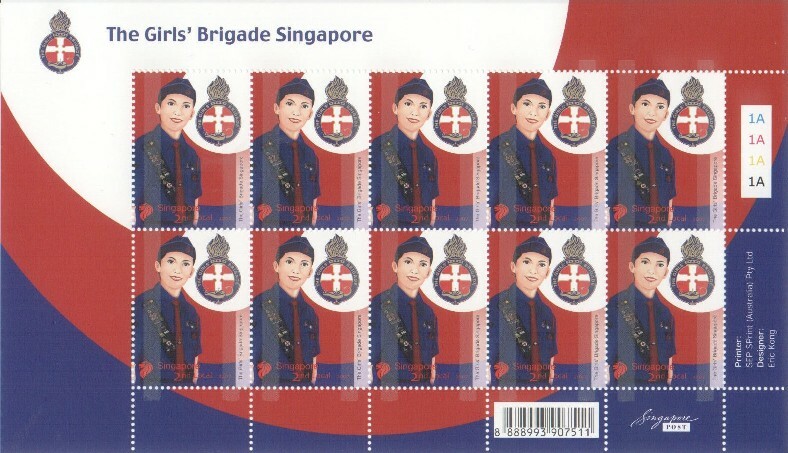 These are the stamps that feature the Girls' Brigade. I have found the number of stamps with the Girls on has been even smaller than the Boys! A 1d surcharge is used to fund children's health camps. A 3d stamp featuring a Boys' Brigade bugler was also issued. International Youth Year. One of a set of five stamps featuring various youth organisations. This was one of three stamps celebrating the International Youth Year. It featured the logos of various youth organisations including the Boys' & Girls' Brigades. A miniature sheet of each stamp was also produced. The Girls' Brigade sheet is shown.